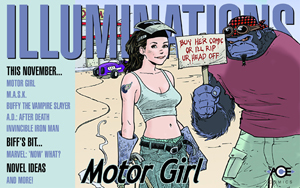 Illuminations began life in 1987 as After Image, a small publication prepared at Biff’s hand. 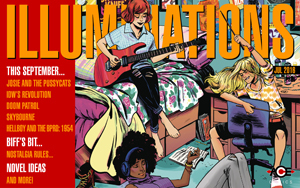 It was produced to provide news and information from the comic book world in pre-internet days. 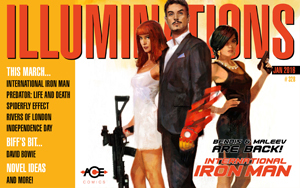 Originally trialed as an off-the-shelf publication, it moved over to being an exclusive addition for Biff’s Ace Comics Advance Order customers. 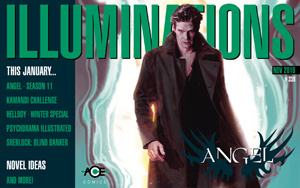 After Image quickly changed it’s name to Illuminations and went through a number of changes over the years, from being hand-produced in black and white by the diligent Ace staff, to becoming a full colour, printed magazine. 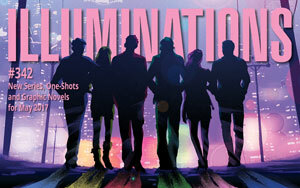 Illuminations endured a long period of hiatus during it’s lifetime, with the last printed version being released in July 2002. 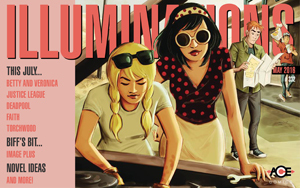 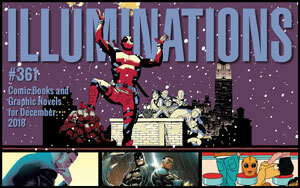 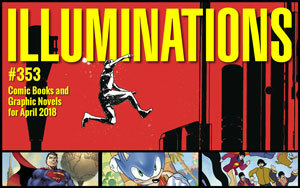 Now Ace Comics have revived Illuminations for the digital age as a webzine and what’s more, it’s available to everybody! 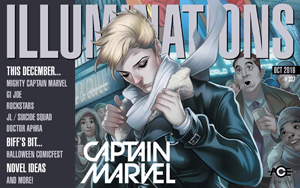 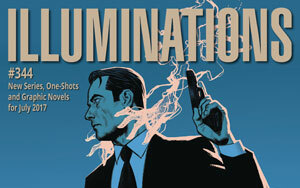 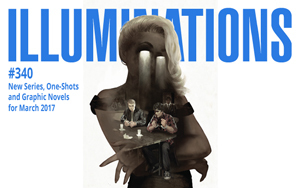 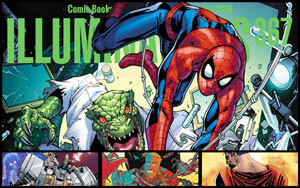 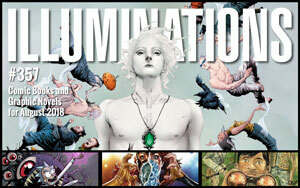 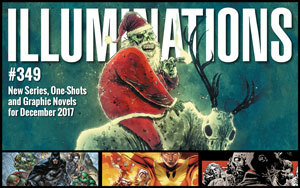 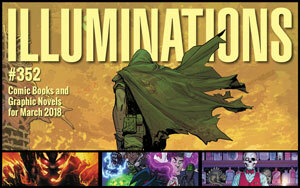 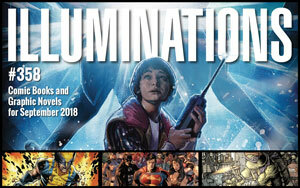 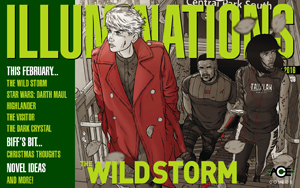 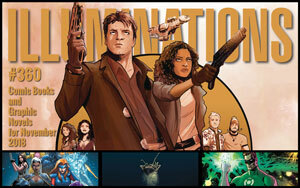 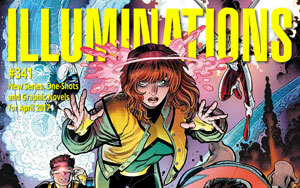 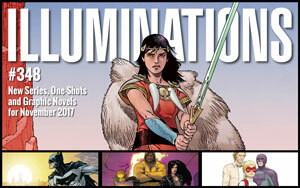 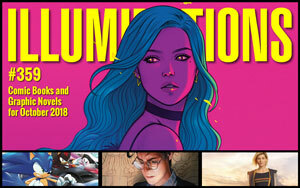 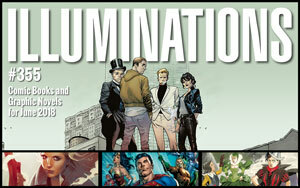 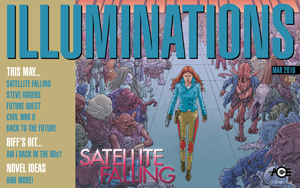 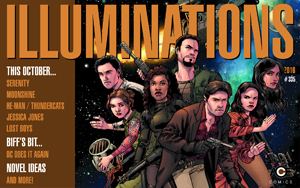 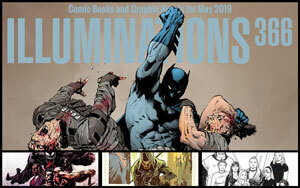 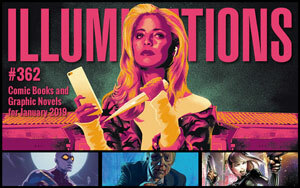 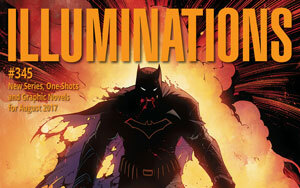 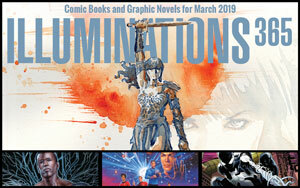 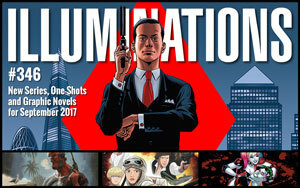 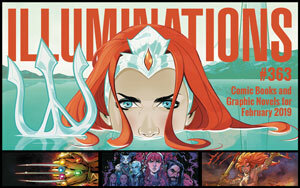 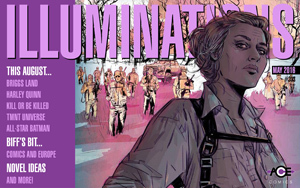 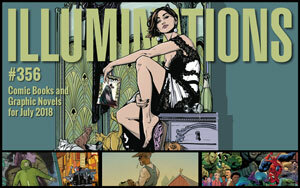 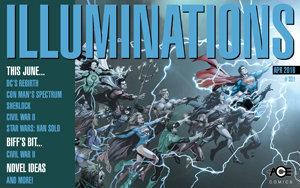 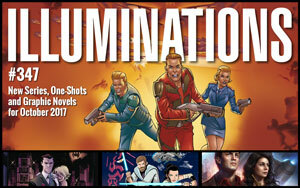 Illuminations showcases upcoming new series and one-shots from the major publishers. 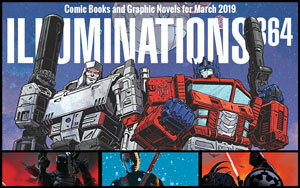 It also has a look at graphic novels in ‘Novel Ideas’ and there’s even a word from the head cheese himself in ‘Biff’s Bit’. 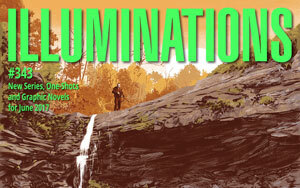 If you want to submit a letter, review or suggestion for Illuminations, email us. 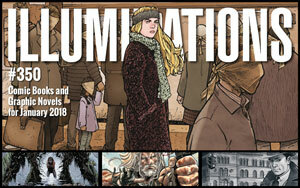 From 2012-2016, Illuminations was produced as a downloadable pdf. 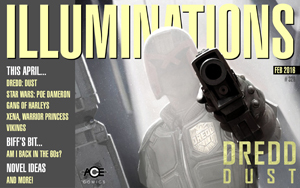 For those particular issues listed below, simply click on the one you want and open the file. 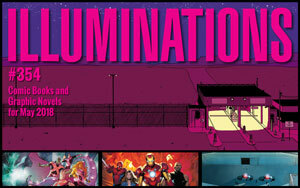 Then you can either read it online, or save it to your device and read it later. 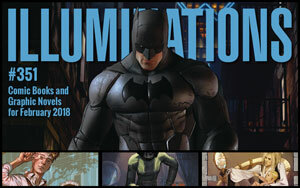 From 2017 onwards, Illuminations is published as an interactive, scrolling web app, highlighting the contents sections via an easy-to-navigate menu and providing links to titles in the ACE web store where available.